Andrew Cuyugan McCullough was elected to the City Council in 2011 and re-elected in 2015. A resident of East San Rafael, Andrew is intent on addressing the concerns of all residents, with a special focus on public safety, efficient service delivery, and quality of life issues in our neighborhoods and in our downtown. As a former Chair of the Chamber of Commerce, and Vice Chair of the Marin Economic Commission, Andrew has been working closely with local businesses for many years. His service on the City Council allows him to champion job retention and creation, and to promote a healthy local economy. While mindful of the need for a vibrant economy, Andrew is sensitive to the natural environment that makes living in San Rafael so desirable. San Rafael’s preserved open spaces, protected wetlands, and scenic views are part of a legacy that Andrew seeks to uphold for future generations. Andrew has always believed that a thoughtful balance between economic development and environmental preservation must be maintained. In his professional life, Andrew serves as General Counsel for a diverse set of businesses headquartered in San Rafael. He was previously General Counsel for Century Theatres, when it was based in San Rafael. Before that, Andrew was a supervising deputy city attorney in San Francisco, where he advised that city’s key agencies and staff. 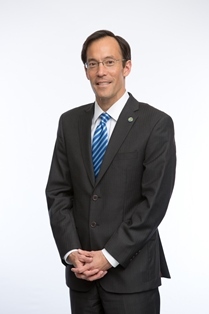 Andrew has served on numerous boards and commissions, including the boards of the Marin County Bar Association, Marin Telecommunications Agency, Bar Association of San Francisco, and Marin Clean Energy. Of mixed Filipino-American ancestry, Andrew was born in Berkeley and graduated from Yale College and UC Hastings. He and his wife, Theresa, have three daughters: Lucy, Nina, and Bevin. In his free time, Andrew is an avid reader and an occasional masters swimmer.